As always, kids and leashed pets are welcome and there is no entry fee for those under the age of 21. We encourage you to bring your own chairs or blanket for our lawn as provided seating is limited. Shade tents are permitted only in certain areas of the festival grounds. Please check with the festival staff before setting up your tent to make sure it is in an appropriate spot. Leashed pets are allowed, don’t forget doggy bags in case they make a mess! Outside food and picnics are allowed, however we reserve the right to check coolers for alcohol which is not permitted into the event. No outside alcohol is allowed.  Due to our insurance policy the only alcoholic beverages permitted on winery grounds are Bellview wines. 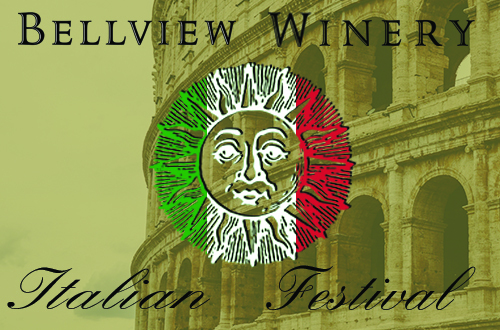 2000 available	 2019 Italian Festival Ticket $1500 Ciao amici! Before you purchase your pre-sale tickets, here are some things that you should know. Tickets purchased here are good for either day of the festival (please disregard "October 19th" on the ticket stub). To redeem your ticket simply bring a form of ID such as a driver's license to the admission gate of the festival and we will check your name off of the list of attendees. Tickets do not need to be printed and brought to the festival unless you are redeeming a ticket that is not in your own name.Ticket prices include a wine tasting of 10 wines of your choice, live music and parking. Food, sangria and wine bottles are purchased separately. Saluti!